Learning how to sew a dart can be a little intimidating if you’re a first timer but I promise that it’s super easy. There are actually a few different ways to sew a dart, from basic to more advanced. All you’ll need to sew a perfect dart is your trusty sewing machine. Let’s get started! When sewing for the female form you have to deal with curves. Darts allow a garment to contour around your curves such as your bust or waistline. 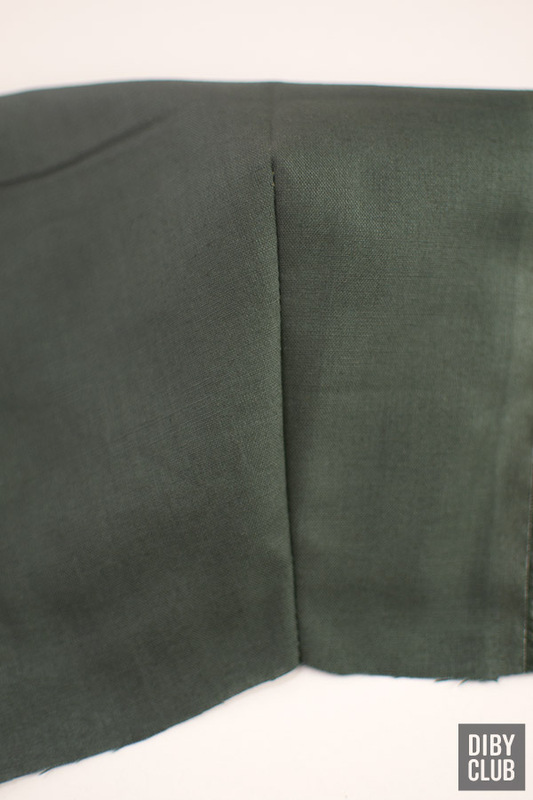 A dart is a pleated portion of fabric and forms a long triangle when sewn together. 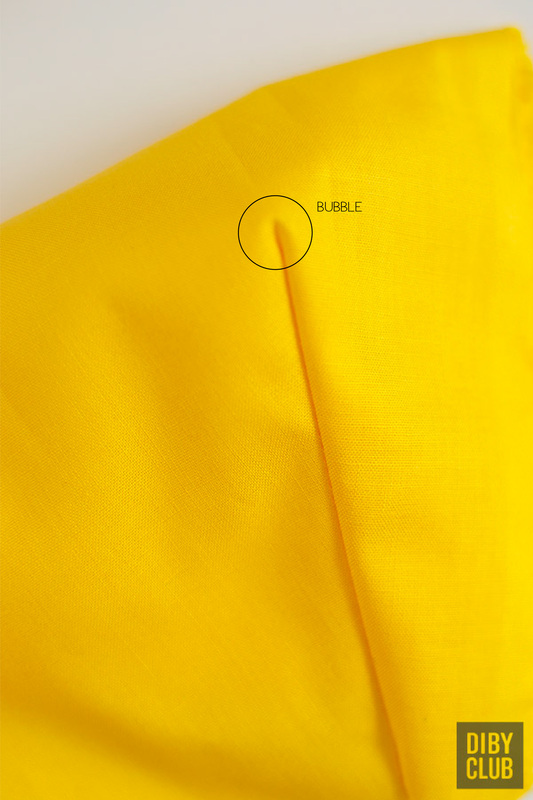 It will naturally create shape in your garment where you need it. A dart consists of two dart legs, the dart tip or apex, the center line and sometimes a punch hole. The dart legs will rest on top of each other once your dart is folded in half along the center line. You will sew along the dart legs to the apex or punch hole point. This basic method of sewing a dart is a perfectly acceptable way to sew a dart and produces adequate results. When starting out as a beginner, I recommend using this method. The only reason I would graduate out of this method once you feel comfortable with it is because it can create a little bubble shape at the tip of the dart. I’ll show you what I mean in a minute. 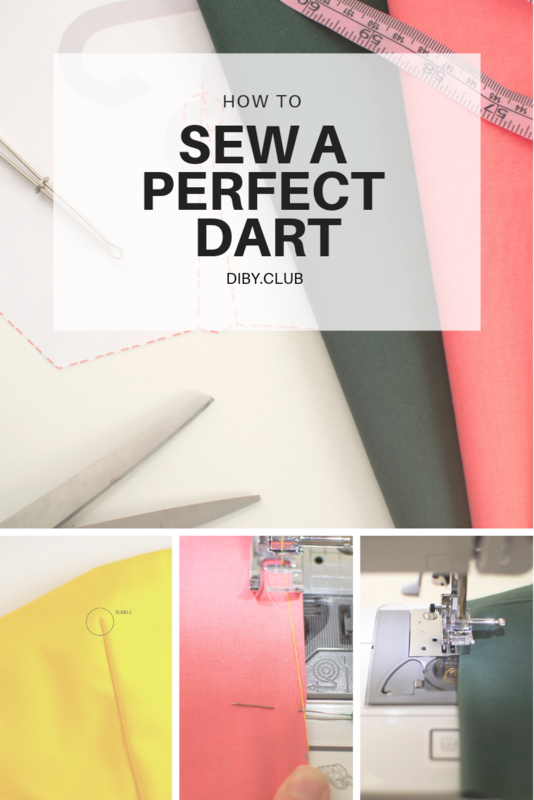 To begin sewing your dart you will have your pattern piece already cut out and you will start by marking your dart tip onto the wrong side of your fabric with a tailors chalk or a fabric pen. Then mark the bottom of each dart leg onto your fabric. 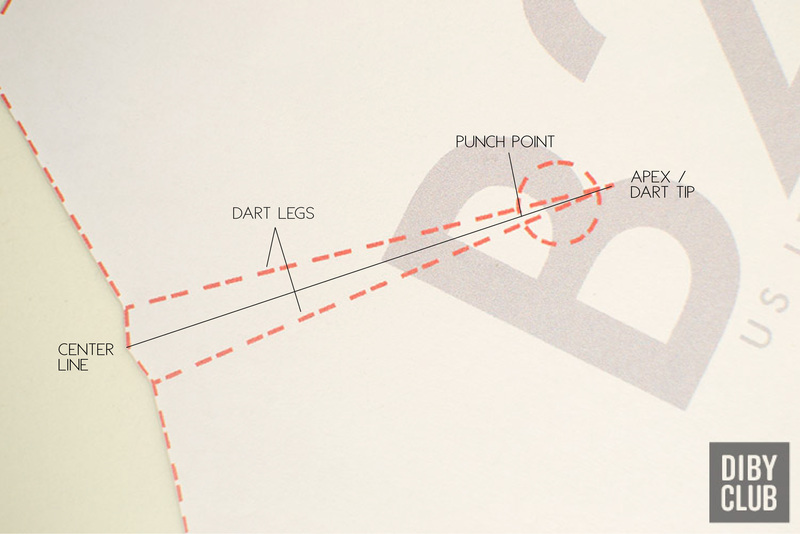 Using a ruler, create your dart legs by connecting your markings with your dart tip. 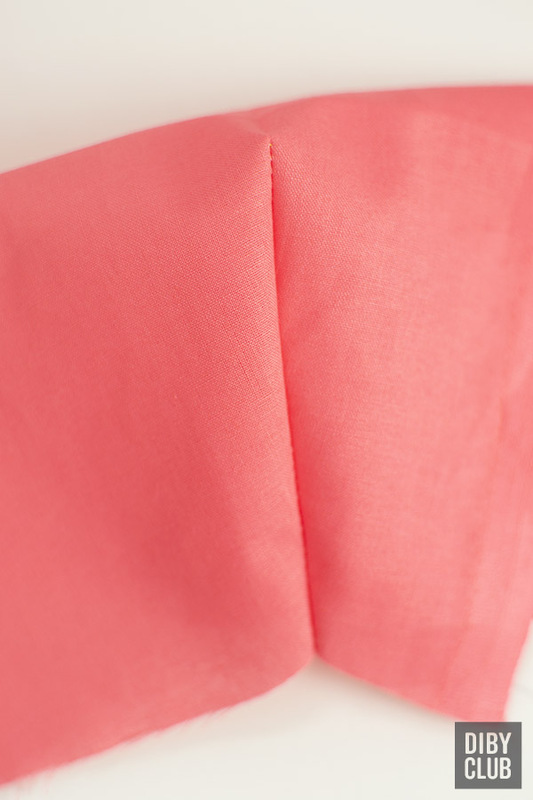 Now simply fold your fabric in half with right sides together along the center line so that the two dart legs are resting on top of each other. Make sure your dart tip is on the fold. Pin your dart into place. We are going to begin sewing at the seam and base of the dart, backstitch to lock in your stitches, and continue up the dart legs. Keep your stitches on the lines you drew and then stop at the apex of your dart, ending with a backstitch. 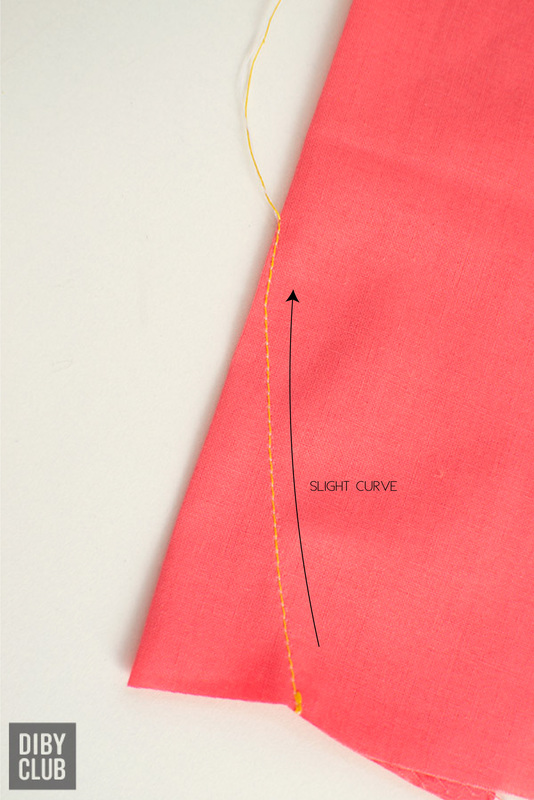 To finish your dart, press your excess fabric to the side indicated on your pattern. The bottom edge of your dart will align up nicely with the edge of the seam. Do not press the tip of your dart on a flat surface as you can easily press a crease into it. I recommend pressing your dart tip on the curved edge of a ham which will also encourage your dart to hold the curved shape you just created. If you don’t have a tailor’s ham yet, you need to get yourself! It’s super handy. I have this one. Now if your dart is a narrow dart like mine you probably won’t create any bubble. But if your dart starts with a wider base then you will likely have a little bubble shape at the tip. This may be more visible in some fabrics than others but it isn’t always flattering especially if this dart is on your bust. But there is a way to avoid this and make your dart look super professional! If you want to get rid of that unflattering little bubble at your dart apex then you should graduate to this more advanced method. It’s not really any more difficult than the first way but might take a bit more practice to get it just right. If your pattern has a punch hole that’s great but if it doesn’t you can add one. 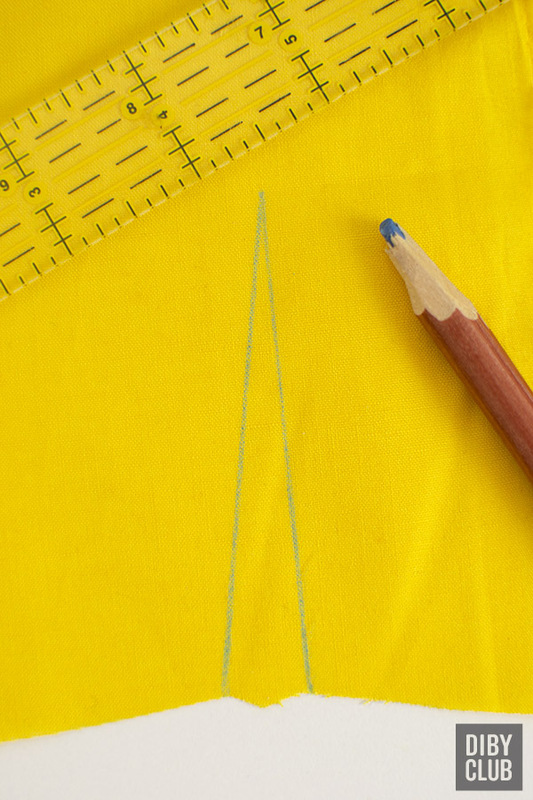 Find the center line of your dart by folding your pattern piece in half and creasing it. Then on that line, mark a point 1/2” below your dart apex. Transfer this point onto your fabric. You can punch a little hole right through your pattern piece so that you can easily mark it onto your fabric with some chalk. Instead of drawing your dart legs to the tip of your dart you can draw them going to the punch hole. But if you really want to look like a pro you can just eye it without any lines. I’ll show you an expert tip on how to do this below. But for now, fold your dart in half and pin it to hold it in place like before. 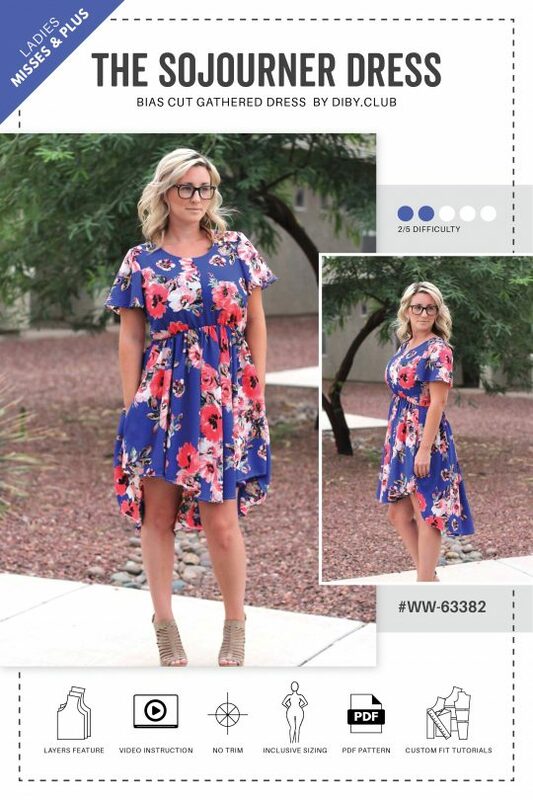 Starting at your side seam, sew along the lines you drew. When you get close to the punch hole mark, about a stitch or two away from the edge, slightly maneuver your fabric to sew up to your dart’s apex. You will want to get your stitches as close to the edge of the fabric as possible at the tip of your dart. 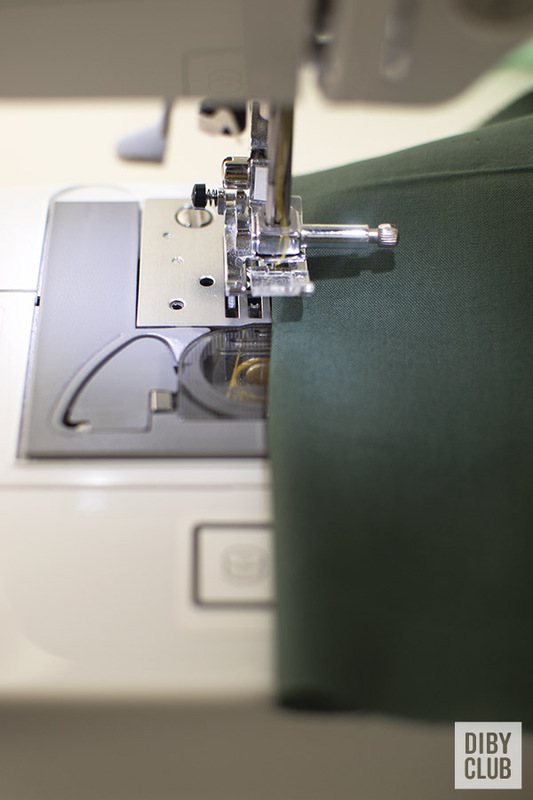 Without backstitching, pull your thread tails out and cut them long. Tie your tails together to make a couple knots. If done right, your dart will have a slight curve to it. It’s important that the curve is curving in and not out. Take your dart to your ironing board and like before, press your excess fabric to the correct side and iron your dart apex on the curve of a ham. See how there’s no bubble this time? And if I used matching thread you wouldn’t see the stitches at all either. 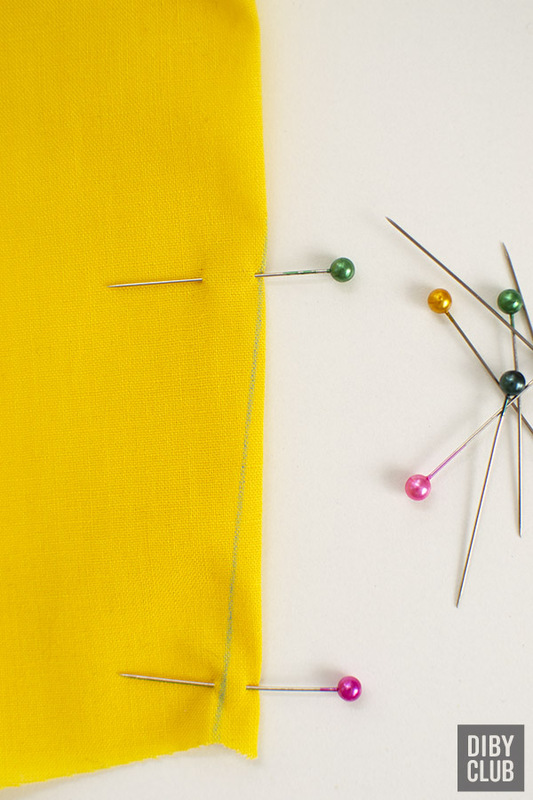 This method of sewing a dart is super fun and requires no backstitching or tying of knots. It’s great for sheer or lightweight fabrics to eliminate the bulk of extra stitching at your dart apex and produces a very nice looking dart. I call it magic because it uses only your bobbin thread! Yep that’s right, you’ll be sewing with just one thread! Didn’t even know that was possible? Me neither, but it really works! 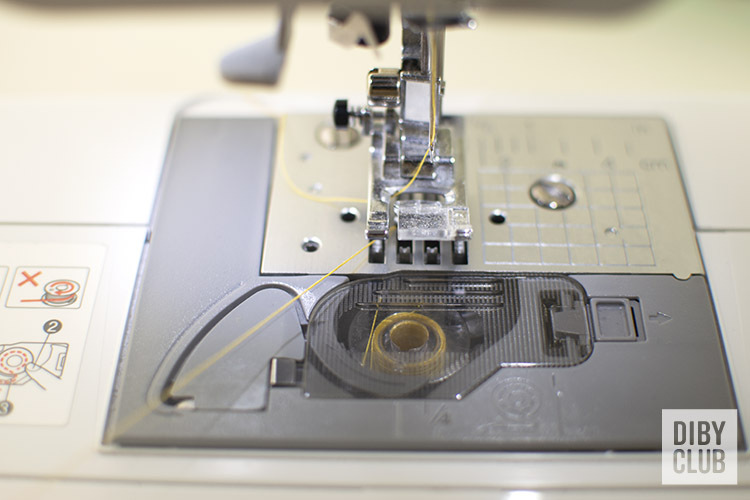 Start by threading your machine like normal so that you can pull your bobbin thread up. Now pull out a good length of thread from your bobbin. You’ll want enough thread to sew up the entire length of your dart. Carefully thread your needle with your bobbin thread from back to front. This is a little tricky but you can use tweezers to make it a little easier. Then with your machine thread still threaded through all your thread guides, knot your bobbin thread to your top thread and trim the tails. Now simply wind your thread back onto your spool. I like to just turn my spool to wind it up. It’s important that your bobbin thread made it through all your guides and is in your take up lever. Don’t know what that is? 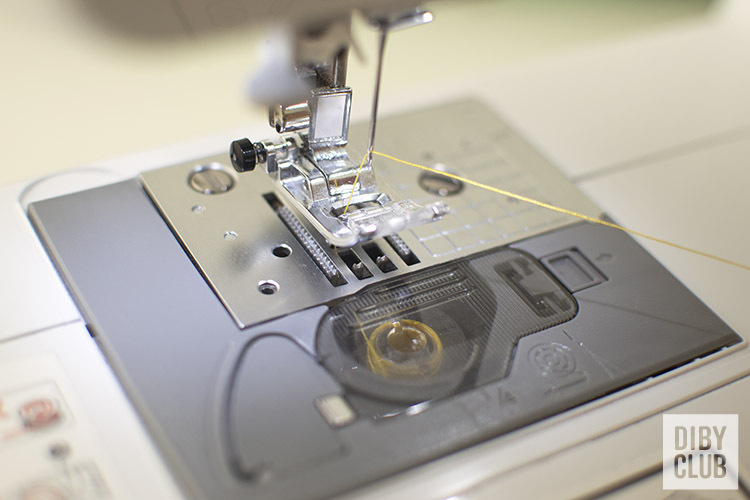 Go here to learn about all the parts of your sewing machine. Keep winding your spool until there’s no excess thread. This method is also different because we’re going to sew our dart backwards from the traditional way. You’re going to start at your dart apex and sew to your seam. Start by placing your dart under your pressure foot but don’t lower your pressure foot yet. 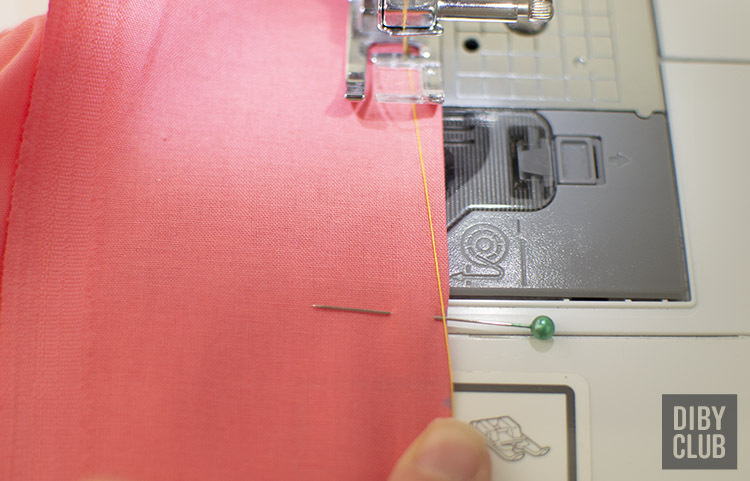 First lower your needle all the way down into your fabric and stop before it wants to go back up again. Make sure to get the needle as close to the edge of your dart fold as you can so you don’t get a little bubble. Now lower your pressure foot and start sewing down your dart legs to the side seam. There’s no need to backstitch at all! When your done, clip your threads and admire the magic! As you can see this method produces a very nice dart. If you want to save time marking your dart legs but aren’t quite comfortable sewing your dart with no guide you can use this cheat! 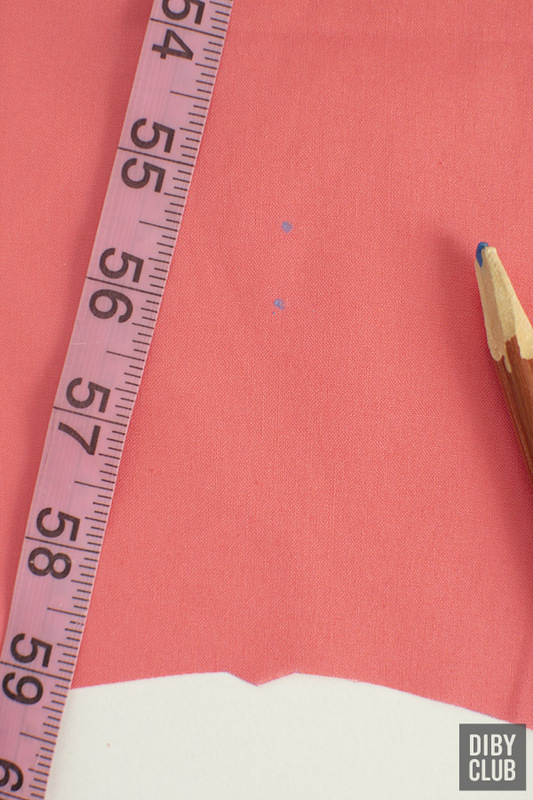 Pull some length of thread from your top thread so that it’ll span the length of your dart. After you have backstitched at the start of your dart, pull your top thread around towards to front of your pressure foot and place the end of it at the tip of your dart. Now you have an instant guide! Well now that you’ve mastered the dart, you can try it out on some of these lovelies! Happy sewing!